Japan is a fascinating, safe and highly rewarding country to travel, but is also famous for having very expensive domestic transport, especially its incredible train system. The arrival of Low Cost Carriers in 2012 presented a new, inexpensive way to travel between Japanese cities, but they come with significant risks. I've flown from Osaka to Tokyo for under 3,000 Yen (on Peach) but also had to walk out of Sapporo Airport into the snow to find a hotel after Air Asia cancelled a flight late at night when we were all in the departure lounge waiting to board. So after finding little online explaining the difference between LCCs and regular (full-service) airlines, and meeting so many desperate, panicking passengers stranded at airports wondering why their airline won't take care of them (with no idea about how LCCs work) I decided to create this website to introduce visitors to Japan about its new LCCs and explain their risks and benefits. 1. Most people who fly with an LCC have a less comfortable experience than on a full-service airline, but save money and come away feeling it was worthwhile. There will always be people who recommend any given LCC based on this experience. 2. A small but significant number (perhaps a few per cent) of LCCs trips end in tears, spoiled holidays and credit card blowouts as people scramble to book new flights after their LCC cancels the flight or refuses boarding for some other reason, and offers no support because "we're an LCC". It's from these unfortunate passengers, in their desperation, that most LCCs make most of their profits. This applies to all LCCs, but some much more than others. In some cases (eg Jetstar) it is because of weather or other causes beyond the airline's control, and in some cases (eg Vanilla Air and Air Asia) it is because of problems manufactured by the airline as an excuse to extort more money from desperate stranded flers. This information is based on my own experience, those my friends and acquaintances, and detailed analysis of online complaints and most importantly the companies' own Terms and Conditions of Carriage. *Vanilla Air (avoid at all costs) and Peach (a reasonable LCC) are both wholly-owned by ANA (a great airline) but all three run as separate business entities. So What's an LCC and How is it Different? Have you ever been on a flight that was empty, and perhaps enjoyed two or three seats to yourself? Chances are that their airline made a huge loss on that flight, and may have had to fly the same route with a more full plane several times just to make up for the loss? So why did they fly? Because they had promised you (in a social contract and their Terms and Conditions of Carraige) that they would fly you on that schedule or if they really can't (due to weather or other factors beyond their control) support you with re-booked flights, hotels and food - bills which can easily amount to thousands of dollars when things go wrong for an airline. For regular airlines these costs are just part of doing business, and are factored into everyday fares. LCCs do not make such promises: if a flight isn't full, or a whole route no longer profitable they simply cancel it, even at very short notice. And their T&C do not include any provisions for compensation. This would all be fine IF people understood what they were agreeing to, but in reality most people tick "I have read the terms and conditions" with no idea - hence this website. Also, in most of Europe there are strict laws about what airlines must provide should they fail to meet their obligations (so even LCCs must conform to a minimum standard) but most countries in Asia have no or far lighter laws, allowing LCCs to take advantage of trusting passengers who have no idea about why their flight is so cheap. Another problem is that Europe and North America have excellent consumer protection laws for airline passengers, requiring, for example, airlines to refund ticket prices and provide other compensation to passengers left stranded if airlines cancel flights, but unfortunately most of these laws do not exist in Japan or elsewhere in Asia. I guess that customer service in Japan has traditionally been so good that such laws have been unccessary, but unfortunately some airlines (especially Vanilla Air and Scoot) are abusing this trust which exists between consumers, businesses and the government in Japan. These sales aren't as good as they seem when "extra payments" (like taxes, surcharges and even paying to pay by credit card when it's the only way you can pay) are added in, but some of their flights are still incredibly cheap, especially if booked well in advance. Image: Peach promotional email, 28th February, 2015. LCCs in Japan offer some incredible discounts, especially during Peach Sales (but please read my Peach page before you take out your credit card). Seats are a little uncomfortable and service minimal, but thousands of travellers are happy to put up with it for for such a cheap way to travel between cities. I've flown from Osaka to Tokyo for under 4,000 Yen. It's not as cheap as it seems once commuting to and from airports are considered (a trip to KIX and into tokyo from Narita can easily cost more than that) however, it's a great deal if you fly into Osaka (KIX) and then directly onto your destination. Who are LCCs Good For? Strange as it may seem, I don't recommend LCCs to budget travellers on inflexible schedules. If you can't afford a full-service airline you probably can't afford a last-minute hotel reservation at the airport, and a last-minute, full-price, one-way flight home when an LCC cancels your flight. If you take enough LCC flights it will happen, sooner or later. If not they wouldn't stay in business. Many a person has booked with an LCC, and then been left stranded at an airport, with their visa about to expire, without the money for a new flight and hotels. One growing group of travellers who might consider using LCCs is digital nomads, or people who constantly travel and work online. These travellers often take one-way flights (every expensive on full-service airlines), and when the airline cancels a flight they still have their work with them so should be able to wait a few days without any major problems. And when the airline offers them a voucher as a "refund" they are more likely to be able to use it, since they travel more regularly. But NEVER book a flight with an LCC to connect with another flight (even one with the same airline) or if you have work or other commitments which require you to arrive on your scheduled time. Airlines make among the smallest profits relative to investment of all enterprises (if any at all - many go bankrupt), and LCCs fly the same planes which burn the same fuel as their competitors. So if LCC fares being a fraction of the price seems too good to be true then there are good reasons for that. The reality is that flights are at the mercy of the weather and need to be cancelled if there's a hint of technical problems. And with air travel, especially international, when things go wrong they go badly wrong, and it's traditionally been part of the contract that airlines pick up the pieces, such as re-booking their customers on other airlines, re-booking connecting flights and even footing hefty hotel bills for stranded passengers. Many people underestimate the importance and the cost of these services until they suddenly find themselves stranded at an airport, with their airline on the other end of the phone saying "But we're an LCC. You read the Terms and Conditions. You'll get your voucher in a few months. Thank you for flying with us." That is if they can even get hold of their airline at all - see Peach. And LCCs have significantly higher cancellation rates than most regular airlines. You book a flight from Sydney to Tokyo with a one night stop-over at Kuala Lumpur, playing it safe in case your flight is delayed. On LCCs these must all be purchased separately and are separate contracts (except Scoot's more expensive "Scoot through" deal). You're sure about your holiday so you book the cheapest, non-refundable flights which can't be changed. Two days before your trip (or in my case an hour after the scheduled boarding time) the airline informs you that your Sydney-KL flight has been cancelled and you've been re-booked on a flight two days later, after your onwards flight from KL to Tokyo. You explain the situation, and beg them to at least change your flight from KL to Tokyo so that you can still take it, but they simply remind you of the Terms and Conditions you agreed to, that your KL to Tokyo flight is non-changeable and non-refundable, and if you wanted to change it you should have booked a more expensive, higher-class fare or taken out more comprehensive travel insurance to cover your losses. In other words it's their fault that you can't take it anymore, but your problem. That leaves you the options of booking a new, high-cost, last-minute fare from Sydney to KL, purchasing a new flight from KL to Tokyo and losing the money you paid for you old one, your hotel bookings and some of your holiday, or cancelling your travel plans and losing all your money. Many LCCs don't even give refunds when they cancel the flights, instead giving "vouchers" with short expiry dates that few people are actually able to use, especially when the airline has cancelled all the flights to their country. This happens to a small but significant number of passengers, and its from these unfortunate passengers that LCCs make a lot of their profits, since one cancelled flight amounts to tens of thousands of dollars, even at the cheapest fare prices. It seems like fraud, which it is, but it's within the terms and conditions agreed upon at booking time. Most people feel optimistic at the time of booking a holiday, and would rather take a chance ("It won't happen to me, after all.") than pay what's often hundreds of dollars more for a full-service airline that, they think, will take them from the same place to the same place, at the same time, perhaps just with less leg room and without a free meal. But it's important to recognise that it's a gamble, so have a backup plan in case you roll badly. 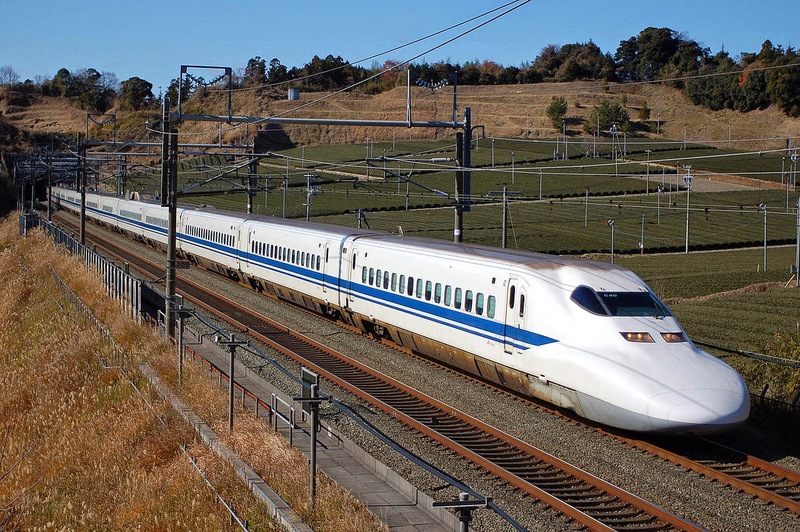 For example, in Japan it's often possible to take the shinkansen (bullet train) if they cancel the flight, but it will set you back hundreds of dollars and you'll probably never get a refund for your LCC flight. But it may sometimes be worth the risk, especially if booking a one-way flight at the last minute, when full-service airlines often charge hundreds of dollars more than LCCs. Of course it's worse when they cancel them on the spot, as I experienced when Air Asia (now re-branded as Vanilla Air, but with no significant changes) cancelled a late-night flight from Sapporo to Tokyo after the departure time, while we were all in the waiting lounge. I was fortunate that I was returning home, without upcoming commitments, and was offered a flight the next day, so it only cost me the inconvenience and my last-minute hotel room reservation (and a long, cold walk through the snow, carrying my skis). But the man next to me had a flight back to Europe from Tokyo early the next morning, and given our scheduled flight was one of the last ones back to Tokyo and it was much too late for the trains he would have needed to have purchased a very expensive, on-the-spot ticket on a full-service airline - if he could even get one at that time - or else he would have missed his flight the next day, possibly cancelling his whole itinerary. A regular airline would be responsible for sorting all this out, but Air Asia (and all other LCCs) have no such obligations, hence why they are so cheap. Never EVER book an LCC flight to connect directly to an international flight. It's a matter of fact that LCCs make most of their money from passengers who never fly or have things go wrong. If it's from people who book non-changeable fares and then are unable to travel on the day for their own reasons, or turn up too late to check in, then one could say that's fair business (I understand that Jetstar make most of their profit from passengers who book non-changeable fares and then are unable to travel at those times). But in reality LCCs make many of their profits (if they make any at all) from people when things go wrong and it's the airline's fault, as they usually don't give refunds (except as "vouchers" which most people are unable to use before they expire) and passengers are regularly forced to book last-minute tickets at inflated prices. Also, often "extra services" (such as insurance, luggage or even seat selection) aren't refundable or transferable to another flight, so this is easy profit for airlines when things go wrong. This is, of course, theft (keeping money for services never provided) but people agree to it in the Terms and Conditions without reading them, so they have no recourse when they get burned, except complaining on the internet, which most people ignore, hoping that it won't happen to them, and so the cycle continues and the airlines stay in business. For regular, full-service airlines, a cancellation is both inconvenient for their passengers, bad for their reputation and very expensive for them, as they have to rebook flights, pay for hotels, give food vouchers etc. But for LCCs a cancellation is a huge money-spinner, as panicking passengers re-book their flights, or their onwards flights which they can no longer take, at the last minute, usually at several times the original price. Others cancel their flights and take "vouchers", many of which will expire before the passengers, now back in their home countries writing bad reviews of their airlines for no one to read, have a chance to use them. For this reason many LCCs cancel far more flights than regular airlines, for all sorts of excuses. The most hilarious case was when Scoot (LCC from Singapore, which flies from Taipei to Tokyo) cancelled several flights for "scheduled maintenance" and still refused to refund affected passengers (read their official explanation and apology here). These issues only affect a small proportion of their customers, and of course everyone thinks it won't happen to them when booking, but it usually amounts to enough passengers to turn a healthy profit, despite breaking even or even making a loss on most other passengers. It's also enough to spoil the holidays or business plans of thousands of passengers each year. I've been one of them, and the internet is filled with hundreds more such stories - Google any LCC and "complaints" or "reviews" to see what happens to the unfortunate passengers caught by these tricks. Booking an LCC can save hundreds of dollars, but it's a minefield of tricks and scams to take your money, and most of them start with a flight cancellation. If booking well ahead, full-service airlines (or good budget airlines such as Solaseed Air or Skymark Airlines) is often not much more expensive. And if flying to Asia or Australia, China Airlines (from Taiwan) offer some incredible discounts ahead of time, including recently return flights to Amsterdam from Japanese cities for under 600 USD. 1. Be very careful when booking. Most LCCs advertise their flights for unrealistic prices, and then add in compulsory "surcharges" or other charges, such as paying to pay by credit card when it's the only way to pay. This is, of course, deception, to advertise flights for 2000 Yen when the cheapest that flight could possibly cost is 6000 Yen, so ignore such advertisements. But while booking, most LCCs have an "opt out" policy for "extra services", and their websites are set up to trick their customers into accepting them. Press "next" a couple of times, thinking that you've just confirmed your flight time and name, and you might have just agreed to pay extra to choose your seat, book an ipad to watch movies (which you may not even get - a common complaint in reviews) and to pay to take luggage you don't have. The websites are designed to deceive people into selecting these non-refundable "extras" without realising it. And by the time they do it's too late, as these services are invariably non-refundable. Since 2016 Vanilla Air have been running a new, very elaborate booking scam in which a tiny warning in fine print appears asking passengers to include their middle names with the first name. If passengers miss this tiny warning them their tickets become invalid; this is costing many people their flights and money. Many people think that by paying a little more for services such as food, seat selection or insurance, that they then get the services equal to a real airline, for less. In reality, these services are often not provided (and virtually never refunded in this case), and worst of all, if the airline cancels the flight (for their own reasons, such as to maintain their planes) these services are not refundable or transferable to another flight, so the money is lost. It's like paying a deposit for a hotel ahead of time, and the hotel cancelling the booking and then keeping your deposit. It's fraud, but it's allowed for in the Terms and Conditions which most people don't read. If you need to bring luggage in Japan it's much better to use the excellent Takuhaibin service. Other than Vanilla Air's Middle Name and Truncation scams, the way the most people lose their money and flights is by turning up "late". Most LCCs operate a strict policy of no "late" check-ins. I've turned up to an international flight on Taiwan's EVA Air forty minutes before take-off, and (with a bit of a stern look from the staff) I was rushed through departures and caught the flight. This will NOT happen on an LCC. I met someone who turned up two minutes late and was denied check-in; Scoot staff told him that the system shuts off at the scheduled closing time and there was nothing they could do. Also, most LCCs have fewer check-in counters, less well-trained staff, and just overall bad crowd control. Expect a long wait to check in for any LCC, and don't expect long check-in times to make a difference to their cut-off times: if you're not checked in in time you don't fly. Finally, many LCCs (including Peach at their home base of Osaka Airport) fly from separate "LCC" terminals, which are a short shuttle bus ride away from the main terminals, and not well signposted (probably to save money). It can easily take half an hour or more to reach the terminal from the airport itself. Part of the LCC deal is no extras, and that includes baggage. Some LCCs over good deals for carrying extra luggage or sports equipment; Scoot were very reasonable when I needed to bring a bicycle with me to Taiwan. However, it generally must be booked well in advance. Most LCCs weight hand luggage at the gate, and charge exorbitant amounts for overweight or extra baggage at check-in. If you get caught it's better to use one of Japan's excellent Takuhaibin services and send it on to your destination. In fact when flying domestically it's usually better to send all your luggage ahead with Takuhaibin service and just board with what you need for that day in your hand luggage. All RIghts Reserved. Header image licensed under Creative Commons. From commons.wikimedia.org. Powered by Blogger.